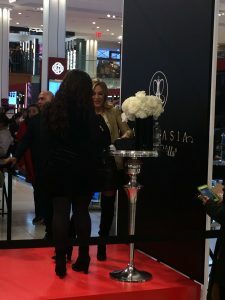 THE MAGIC OF MACY’S: ANASTASIA SOARE, FOUNDER OF ANASTASIA BEVERLY HILLS, COMES TO MACY’S HERALD SQUARE! Macy’s is retail heaven! From their annual events which include the Thanksgiving Day Parade established in 1924 and the Fourth of July fireworks just to name a few. These particular events have been a stable in pop culture that has inspired generations to be apart of these amazing spectacles. Nevertheless, the history of Macy’s goes beyond retail royalty. It is the home to many successful entrepreneurs. Only one star captures the magic and that’s macy’s. 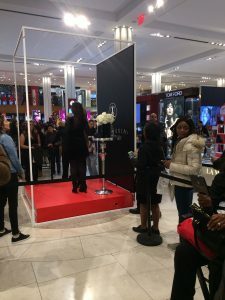 However, there was a moment of magic when beauty maven Anastasia Soare held an event at Macy’s Herald Square. Anastasia is beyond the brows, she’s breaking barriers! She was one of the first in the beauty industry to focus on the essentials of brows. Equally important, is her philosphy and methods behind the Golden Ratio that established her as a household name. Not to bad for a woman who worked 25 years educating people on the importance to achieve the perfect set of brows that suits any bone structure. Moreover, her line of cosmetics has forever revolutionize the way we view and treat brows. Anastasia’s touch of elegance and grace will not only bring something new and creative, but will continue to evolve the industry. 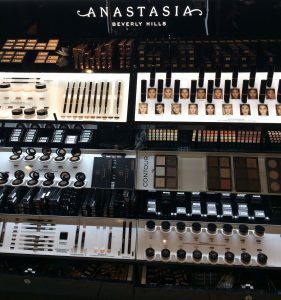 This is one of the reasons Anastasia Beverly Hills is one of the most successful cosmetic products sold through out the world. The make up artist first started with a very important tool the stencil. The purpose of the stencil is to guide you to achieve a professional finish on your own. By using this tool you learn how to shape, fill, recreate, and achieve the perfect brow you always wanted. 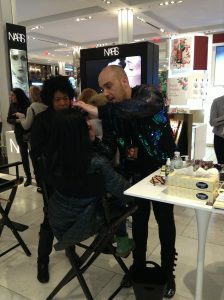 The make up expert at Macy’s informed me that my brows was high arch. Therefore, she used a high arch stencil to fill my brows. 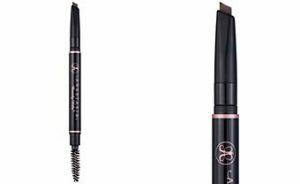 The stencil by Anastasia Beverly Hills retails only at $20 and no matter if you are slim arch, medium arch, or high arch (like myself) the stencil helps you confidently create eyebrows that appear natural . The second step, was to apply Anastasia Beverly Hills brow definer. The brow definer enhances and creates an illusion for darker and fuller brows. This product is a must have and it retails only at $23. 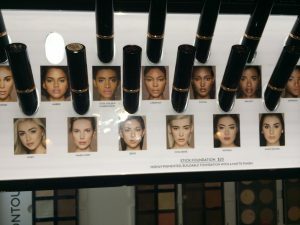 I personally found the brow definer to be an amazing product for the following reasons. The product is well made, not messy, or complicated to use. Which I found to be very satisfying. 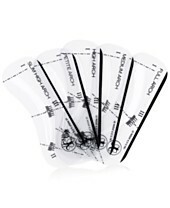 Likewise, this is the perfect product for women who are learning to fill and outline their brows. The final touch, was to apply the brow gel by Anastasia Beverly Hills. It retails only at $22! 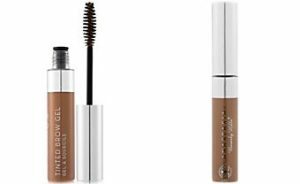 The purpose of the brow gel is to groom, tame, and set, while providing you an all-day hold. As a result, the brow gel enhances your eyebrows by keeping an everlasting, natural, and refreshing look throughout the day. Say goodbye to messy, curly, out of control eyebrows. The brow gel will have you looking like you just came out of the brow bar. A flawless look that is well deserve! The final results of my make over. 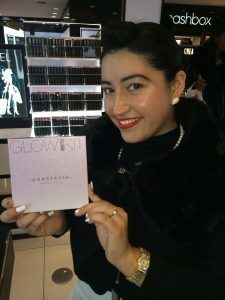 All products used on my brows Anastasia Beverly Hills sold at Macy’s. 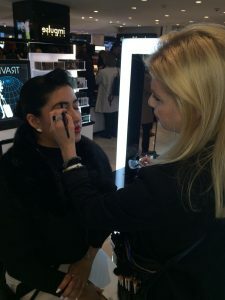 As you can see, it’s no wonder Anastasia Soare, founder, of Anastasia Beverly Hills has earned the title “The Definitive Eyebrow Expert.” Truth to be told, Anastasia is beyond the brows. She is a living example of how far passion and hard work can take you. She has perfected her craft in a way that forever has changed the way we perceive the brow. 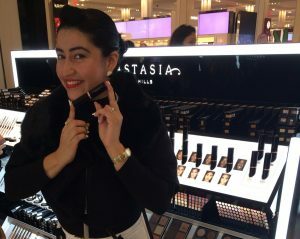 This is one of many reasons, why fans came out to support Anastasia at Macy’s Herald Square. At a time when there is so much conflict, confusion, anger, and disagreements, only one star captures the magic and that’s Macy’s. ← IT WAS ALL A DREAM: BETSEY JOHNSON COLLABORATES WITH DREAMWORKS AND BRINGS FASHION TO THE TROLLS!